Beginning next month, manufacturers in India of partially hydrogenated vegetable oils (PHVOs) will be required to reduce the trans fat level from the current 10 per cent limit to 5 per cent, says the Chairman of the Scientific Panel on Oils and Fats, Food Safety and Standards Authority of India (FSSAI), Dr. R.B.N. Prasad. This downward revision is in keeping with FSSAI’s revised trans fat regulation of December 2014. In July 2013, FSSAI brought in regulations to limit the trans fat content to 10 per cent in PHVOs like vanaspati. 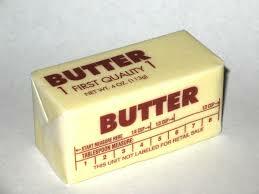 In India, vanaspati, desi ghee, butter and margarine are the main sources of trans fat. Vanaspati is favoured by the industry as it prolongs a food product’s shelf life and is cheap. 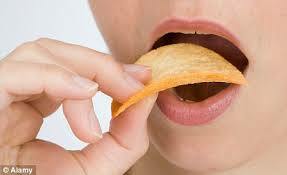 However, it has adverse health effects and is more harmful than saturated fat. This is because it increases low-density lipoprotein cholesterol (LDL) or bad cholesterol and decreases high-density lipoprotein cholesterol (HDL) or good cholesterol. These changes in the lipoprotein cholesterol content increase the risk of cardiovascular diseases. The Food Safety and Standards Authority of India regulation to reduce trans fat content in partially hydrogenated vegetable oils will help meet the WHO limit. “FSSAI clearly states that oil should not be reused more than 2-3 times,” says Dr. Prasad. Polar compounds are formed due to oxidation, hydrolysis and some other chemical reactions of oils during frying. Some countries have regulations that fried oil should not be used if it contains more than 25 per cent of polar compounds. “If you fry any oil continuously for about two hours then it is better not use this oil for the second time for frying. The oil should instead be used for cooking, like curry preparation, that does not involve frying,” he says. 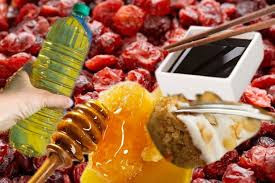 Yet, there is no way of monitoring reuse of oil or limiting the amount of trans fat in food items prepared in restaurants and by roadside vendors. According to the BMC Public Health paper, oils samples collected from street vendors contained high levels of trans fat — 0.1-30 per cent of total fat. As a result, 4 per cent of people in rural areas and 13 per cent in the urban areas were consuming trans fat that is much higher than the WHO-recommended level, the paper says. Though packaged food products are required to label trans fat content, most local products do not have it on the label. “Even if trans fat [content is] quoted, these are based on raw ingredients and not the finished product,” writes the first author of the Food Chemistry paper, Swati Bhardwaj from the University of Delhi. In 2004, Denmark became the first country to limit trans fat to 2 per cent of total fat in all food items. According to a January 2016 paper in the American Journal of Preventive Medicine, the number of deaths in Denmark caused by cardiovascular disease reduced on average by 14.2 per 1,00,000 population per year due to the regulation. Following Denmark’s example, many other countries too have limited the trans fat content in food items.